I recently started a collaboration with Mom’s Favorite Reads; a blog created by author Hannah Howe. I wrote a guest post with reading tricks for kids of any age, which Hannah has kindly hosted on her blog. Below is a brief summary of the article. I hope you’ll enjoy reading the whole post on Mom’s Favorite Reads. As a dad of a 3-year-old whirlwind, I find myself already asking the question facing most parents: how can I make my child read more and spend less time in front of a screen? 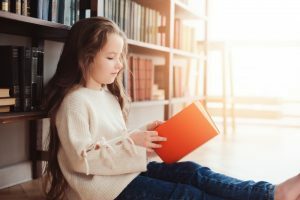 As an author of children books and teen-friendly fantasy books, I also ask myself this question’s flipside: how can I make my books appealing to them? Good suggestions. I am all for kids reading whatever makes them want to!